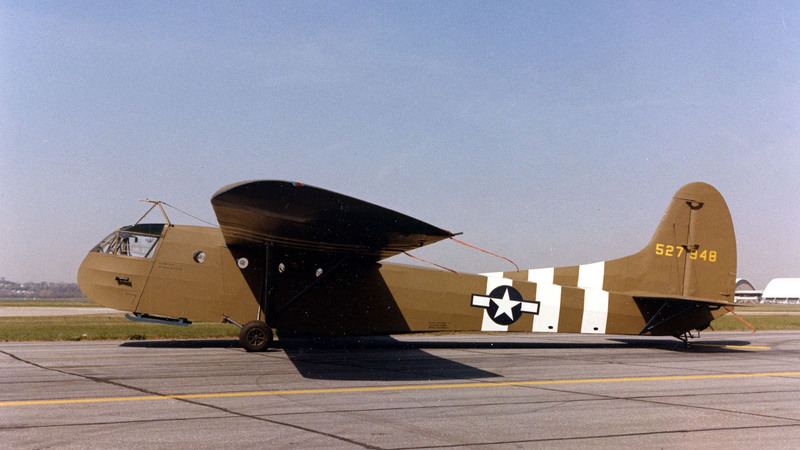 By Terry Dunn on Sept. 4, 2014 at 12:30 p.m.
A history lesson in the US Army's use of motorless gliders to train pilots in WW2, and the rebirth of these gliders post-war as refurbished enthusiast aircraft. If necessity is the mother of invention, then wartime must be the mother of desperate ingenuity. There are countless stories throughout history of imaginative soldiers figuring out how to make do, and even thrive with whatever equipment was available. Sometimes, this sort of grassroots pragmatism occurred on a large scale. For instance, when the US Army Air Corps (USAAC ) urgently needed aircraft to train thousands of glider pilots during World War 2, they realized that the answer was already right under their nose. Early in the war, the Germans used troop-laden gliders with great success in the quick capture of Fort Eben-Emael in Belgium. Subsequent German glider missions were much less effective and they were ultimately abandoned by the Wermacht. However, the Allies were already convinced that they needed a glider force of their own. The US and Britain began amassing enormous fleets of gliders as well as pools of trained pilots to fly them. The workhorse of the US glider force was the CG-4A combat glider. 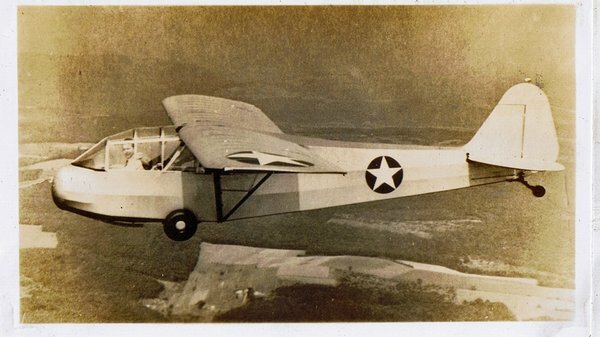 This boxy aircraft was designed by the Waco (pronounced like “taco”) Aircraft Company of Troy, Ohio and produced at factories all over the US. The unlikely mix of shops turning out CG-4A parts included the Steinway Piano Company and Anheuser-Busch. The fuselage, constructed of welded steel tubing, could hold up to 13 equipped troops in addition to the pilot and copilot. Alternately, the Waco could hold fewer troops and a Jeep or small howitzer. Regardless of how many troops were inside, their only protection from enemy fire was the painted canvas fabric stretched over the frame. In combat, a cargo plane (usually a Douglas C-47 Skytrain) towed one or two CG-4As over the landing zone. The glider pilots would release their plane from the tow rope and begin a rapid and irreversible return to solid ground. Ideally the pilot’s chosen landing spot would be free of obstacles and other gliders. Once the wheels touched the ground, the pilot would push the control yoke forward to bury the Waco’s front skids in the dirt and bring the glider to a quick and dusty stop. For many gliders, their first combat landing was their last. The Treaty of Versailles imposed harsh restrictions on the numbers and types of powered aircraft that Germany could possess after World War I. Because of this, gliders in Germany were popular, plentiful and refined. It is estimated that there were around 300,000 trained German glider pilots by 1941. Many of them had or would become pilots of gliders and powered aircraft for the Luftwaffe. By contrast, interwar sport gliding was a rare activity in the US. Not only were there very few glider-trained pilots in 1941 (100-350), there were equally few gliders (200). The gliders that did exist were products of the miniscule US glider industry. 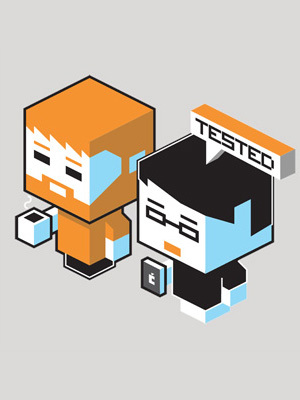 Some were even one-off designs of shade tree engineers. When the USAAC began building its glider force, it had to start from scratch. The air corps gathered up all of the civilian-owned gliders that it could find and began training volunteer soldiers to fly them. In the mean time, it issued contracts to the handful of US glider manufacturing firms to get more training aircraft built. It also utilized the two privately-operated glider training schools in the US, while breaking ground on numerous government schools. Pilots in the early training programs received classical glider training and earned respectable soaring skills. They learned how to gain altitude and stay aloft for long periods using thermal currents and slope lift. The cadets were taught to fly their long-winged trainers with efficiency and finesse. When these pilots transitioned to the big CG-4A, efficiency and finesse were no longer part of the equation. The goal when flying the Waco was to get your troops and cargo back on the ground as quickly as possible without killing anyone. Not wrecking the glider in the process was considered a bonus. It was like the air corps was using Ferraris to train dump truck drivers. 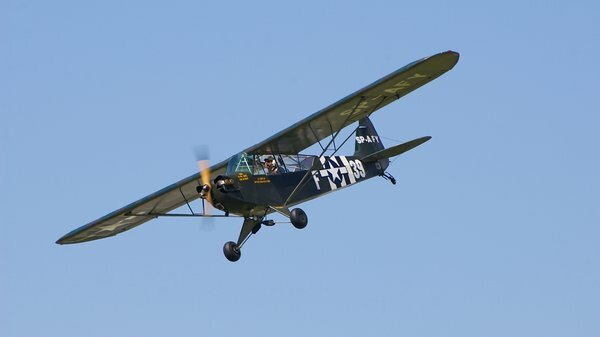 To bridge this gap in training, the air corps used light 2-place aircraft such as the Piper L-4 (aka J-3 Cub) in the training flow. Pilots would take off and climb to altitude before shutting down the engine. This not only transformed the airplane into a glider for the student in the front seat, it was a glider that lacked the efficiency and refinement of traditional soaring gliders. Their plane was coming back down in a hurry! Since these aircraft lacked an onboard starter, recranking the engine and taking a mulligan on a bad approach was never an option. This was the sort of training that pilots destined for the CG-4A really needed. While the “dead stick” training tactic filled the training gap, it placed further burden on the already thin inventory of applicable aircraft. There just were not enough L-4s, Taylorcraft L-2s, and Aeronca L-3s to go around. Those aircraft that were available to glider schools were constantly in the air, putting a strain on the aircraft (as only student pilots can), the mechanics that repaired and maintained them, and the pilots qualified to instruct in them. Somewhere during this frenetic pace of building training bases, aircraft, and pilots, someone had the brilliant idea to use the existing light aircraft designs as the basis for purpose-built training gliders. The concept was to replace the engine with a third seat and an added set of controls for a second pilot trainee. Additionally, the windscreen was traded for a large greenhouse canopy covering all three occupants. The idea was pitched to an agreeable USAAC audience and engineering drawings for a glider version of the Aeronca L-3 were completed in just a week. A mere two days later, the prototype conversion was completed. This accelerated timeline hints at the simplicity of the transformation as well as the urgent need for a solution. Aeronca designed and implemented the glider conversion of their L-3 observation aircraft in just nine days. 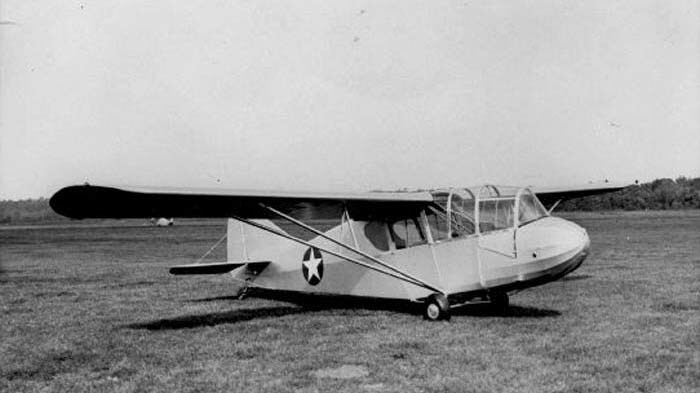 The resulting TG-5 paved the way for Aeronca, Taylorcraft and Piper to churn out much-needed gliders for pilot training. 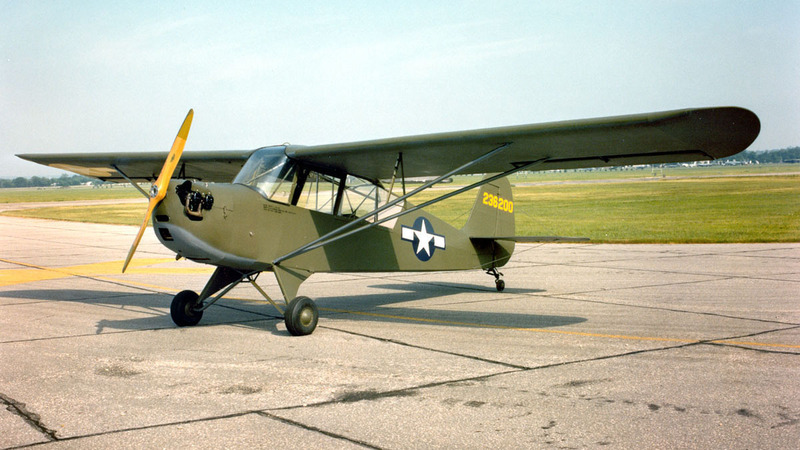 The Army designated the Aeronca gliders TG-5 and ordered 250 production units. Similar conversions of the L-2 and L-4 were quickly hashed out and designated TG-6 and TG-8 respectively. Orders were placed for 250 of each of those models as well. Other than the proof-of-concept TG-5, all of these aircraft were manufactured as gliders, rather than conversions of existing (and much-needed) powered aircraft. The benefits of the new training gliders were many. Because the glider airframes were largely unchanged from their powered predecessors, most of the required jigs and tooling for mass production were already in place. Full-scale production could begin immediately. Having an additional seat meant that two students could receive instruction on every flight. This shortened the learning curve and provided some relief to overcommitted instructor pilots. Depending on the tow plane used, up to three training gliders could be schlepped to altitude simultaneously. Now, each flight of a powered airplane resulted in as many as six students getting airborne, rather than just one (via the dead-stick option). Better yet, as soon as the gliders released from tow, the tug could race back to the airfield for another batch of gliders before the previous set landed. The improvement in efficiency is obvious. Perhaps the most significant facet of the makeshift training gliders is that they accurately replicated the handling characteristics of the CG-4A. Some cadets still received primary training in traditional gliders such as the Schweizer TG-2 or TG-3. Depending on aircraft availability, some schools continued to use the dead-stick training approach as well. For most trainees, however, the bulk of their preparation for piloting the Waco was in the TG-5, TG-6 or TG-8. Thousands of pilots went through this training flow and graduated to fly the CG-4A. These pilots formed the backbone of the glider forces that went in to Sicily, France, Holland, Germany, and Burma, not to mention numerous smaller operations. Much like the German experience, Allied glider operations found varying degrees of success. The US and British glider forces, however, remained active through the end of the war. Like so many US military aircraft, training gliders were sold for pennies on the dollar after the war ended. The high performance Schweizers were quickly snatched up by private owners and newly formed soaring clubs. Even the big CG-4As found willing buyers. However, their primary interest was usually the large and well-made wooden shipping crates that contained the glider parts. The Piper, Taylorcraft, and Aeronca gliders were not such an easy sell, even at liquidation prices. Their intentionally-poor soaring performance did not attract glider enthusiasts. What else were they good for? Their lineage, however, would once again prove these gliders’ greatest asset. It was quickly determined that the gliders could be converted into their beloved powered counterparts relatively easily, making them aircraft that did have a market. Piper was particularly helpful in ironing out the conversion process. They provided detailed instructions and even offered the parts required to complete the work. Taylorcraft was also helpful, but to a lesser degree than Piper. Strangely, Aeronca management was against converting its gliders and would not release engineering data to aid in the process. TG-5 owners did it anyway. Many of the surplus gliders in civilian hands underwent this conversion process. There are likely several of them still flying today. It is interesting to note that the wing spoilers (an energy management feature installed only on the glider models) did not have to be removed during the conversion, only deactivated. Some speculate that more than a few converted aircraft had this unique feature discreetly reactivated following the aircraft’s post-conversion inspection. I could only find one example of these aircraft still flying in glider form. There are, however, a few on static display at museums around the country. I suspect that there may be numerous others hidden away within ramshackle barns--the rotting remnants of unfinished 70-year-old-projects. No matter what the current status is of any of these unique aircraft, they represent a shining example of American ingenuity at its best at a time when it was needed most.